What does a loudmouth sports radio “shock jock” getting a 3½-year prison sentence for running a Ponzi scheme based around concert tickets have to do with compulsive gambling? 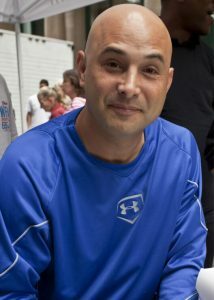 Everything, if we can take Craig Carton at his word about how and why he got himself into this mess. The former WFAN personality, best known for hosting Boomer and Carton with Boomer Esiason, was handed his sentence last Friday by Judge Colleen McMahon. He’s one of three men heading to prison for his role in the scheme, joining Joseph Meli, who got 6½ years, and Michael Wright, who was sentenced to 21 months. For Carton, 50, the decision to “borrow” money from an individual investor as well as a hedge fund, purportedly to buy concert tickets in bulk, grew out of his need to pay off massive gambling debts. And those debts were the result of a years-long addiction to blackjack, which got deeper and deeper as more casinos threw more perks his way. Before he heads off to jail, Carton is on a media tour. He sat with The New Yorker for a profile, and he did a full hour, commercial-free appearance on Michael Kay’s ESPN Radio show on Monday. There aren’t many silver linings when a man, especially a father of four, gets into this kind of trouble. But there is one here: Carton’s story is bringing awareness to compulsive gambling, a problem that mostly tends to exist in the shadows. The exposure has an additional likelihood of hitting home because popular radio personalities like Carton develop a connection with their audiences, so his listeners feel like they know him and are that much more likely to spend time contemplating the serious nature of his addiction. There have been much more famous celebrities whose gravitation toward high-stakes wagering, arguably to “problem gambling” levels, has gotten attention. Think Pete Rose, Michael Jordan, Charles Barkley, Ben Affleck, John Daly, or Gladys Knight. Some of them have opened up about their problems, some haven’t. Some of them have suffered consequences beyond just losing money, some haven’t. None of them have done time in prison for offenses related to their gambling. To some extent, Craig Carton might not be a big enough name to wake people up, to make more legislators and more citizens recognize and address a problem. If Michael Jordan was the one headed off to jail for crimes associated with a gambling addiction, the impact would be much more far reaching. But Carton’s example can be more impactful in other ways. “Certainly, his media cycle’s going to spin out much faster than if it was a Jordan, a Barkley, someone along those lines,” Salsburg says. “But he’s more relatable to the everyman than those other people. Carton’s story is one of escalation and excess. 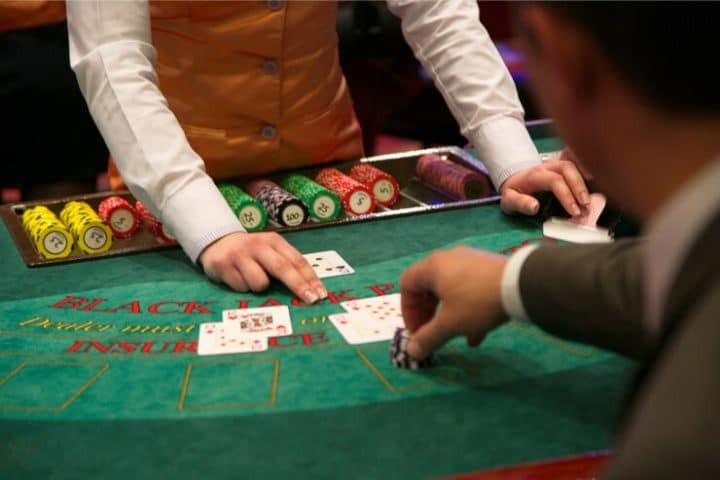 What started as a five-figure blackjack challenge, essentially him acting on a dare from Esiason and their listeners to turn $10k into $25k back before Carton necessarily had a gambling problem, turned into multimillion-dollar swings and, not surprisingly, multimillion-dollar debts. When Carton turned that $10k into not just $25k but a whopping $80k in a single night, it gave him a taste of something hard to duplicate. Many compulsive gamblers’ stories start with a situation like that. What those who have never suffered from this addiction fail to grasp is that it’s rarely about the money. It’s not necessarily about a desire to win or a love of the game you’re playing, as Carton explained to The New Yorker’s Nick Paumgarten. Did that quote ring true to Salsburg, who is closing in on nine years since the last time he gambled? “Every word,” he says. “That was the quote that stuck out to me the most, that I connected with the most. It rings true on every level. You’re not playing to play the game. You’re playing to escape and to numb. At that point, it just takes more, higher levels, to get that same level of escapism and numbness. One detail of Carton’s story that might cause a double-take for industry insiders is his personal relationship with former New Jersey Governor Chris Christie — a man who played a vital role in the current expansion of legal sports betting. How, you might wonder, does someone like Christie reconcile being pro-gambling with having friends who have suffered because of gambling? If you subscribe to that way of thinking — that gambling will take place no matter what, so we may as well regulate it and establish safeguards — then there’s really no hypocrisy whatsoever to having an awareness of compulsive gambling while supporting legal gambling. “The important thing is not to sweep it under the rug, not to try and push it away,” Salsburg tells US Bets. “In the end, it all comes out. I mean, if you’re pumping sewage into the canal behind your plant, eventually the EPA finds out. To hear Jamie Salsburg go deeper on the topic of compulsive gambling and what’s being done to address it, listen to his February appearance on the Gamble On podcast.